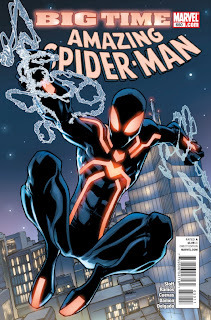 How exactly is it a stealth suit if it glows? Please feel free to add pictures of black cat. What would happen if Aunt May had a baby with Alfred Pennyworth? The light reflects other light around it. Like a mirror facing another mirror of equal size...if the mirror could see directly straight ahead would it ever see anything? Ok yea, the suit is crazy sci fi.